TOKYO -- Japan's automakers are gearing up for the biggest wave of North American production expansion in a decade. The goals: Win back market share lost because of the 2011 earthquake and tsunami in Japan, boost sales in the world's most robust market and get around a dollar-yen exchange rate that makes exports from Japan unprofitable. Japanese automakers have rebuilt their North American output to record levels. But a vehicle shortage has become the biggest barrier to boosting sales. So executives at almost every Japanese company are planning new capacity increases in what is traditionally their most important market. Several plants under construction will open soon. But in recent interviews, the CEOs of Nissan Motor Co., Honda Motor Co. and Subaru parent Fuji Heavy Industries Ltd. outlined fresh North American capacity boosts -- on top of those unveiled in the past year. And Toyota Motor Corp. said this month it will lift its North American output by 50,000 units -- by asking Mazda Motor Corp. to add capacity at Mazda's plant under construction in Mexico and build a compact car there that will be badged as a Toyota. Even the head of beleaguered Mitsubishi Motors Corp., which just dropped production of four vehicles at its money-losing Illinois factory, aims to expand output there next year. The factory frenzy is the biggest since 2000-03. That was when Honda built its Lincoln, Alabama., plant and expanded one in Alliston, Ontario; Nissan built a plant in Canton, Mississippi, and expanded in Smyrna, Tennessee; Toyota nearly doubled capacity at its Indiana plant and unveiled plans for a pickup plant in San Antonio; and Subaru added capacity at its only North American plant. Then, Japanese companies were adding lines to jump into the pickup and SUV segments. Today, most of the capacity is devoted to compact cars or luxury models. Then, the action was in the United States and Canada. Today, Mexico is getting most of the Japanese investment. Japan's automakers are flocking there for its cheap labor and free-trade agreements with North America, Europe and Latin America. It even has such an agreement with Japan, giving Japanese automakers the flexibility to ship cars home if they choose. Already, Japan's automakers are cranking out cars and trucks at a record pace in North America. Their combined production in the United States, Mexico and Canada hit 4.3 million units through October. That's a 10 percent faster pace than in 2007, when their full-year total was a record 4.6 million. Output then slumped with the recession and the aftermath of the 2011 Japanese earthquake. Toyota, Nissan and Honda are on target for record output this year. But it's not enough. 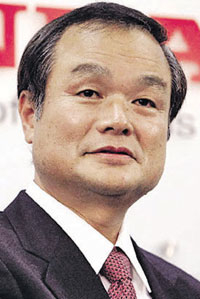 Honda President Takanobu Ito, for instance, needs to lift local output to reach his goal of 2 million North American sales in four years, up from 1.7 million this year. Honda is building a Mexican plant that will open in 2014, adding 200,000 units of North American capacity. Ito expects all those cars to be the Fit subcompact hatchback or a Fit variant. But Honda is still capacity constrained, he says. "We don't have that much production capacity," Ito says. More is needed. "It could be a further capacity expansion in Mexico. Or we might have to expand production capacity at other sites in North America, be it Alabama, Indiana, Ohio or Canada." Nissan CEO Carlos Ghosn, like Ito, needs more assembly lines to meet sales goals. Nissan just cut its fiscal 2012 sales outlook for North America because it feared it couldn't produce enough locally to meet demand. "We don't have too much available capacity in North America," Ghosn told Automotive News, a sister publication of Automotive News Europe. "We have some significant investment taking place today in Mexico to increase the capacity. There will hopefully be more to come in the future." Ghosn predicted North America will need another plant within five years, after Nissan boosts its U.S. market share to his target of 10 percent, from over 8 percent today. The plant also could handle Infiniti products as Nissan tries to build more of the luxury brand's vehicles outside Japan. Another factory would be in addition to Nissan's fifth North American plant, which it plans to open in Mexico by the end of next year. Mazda ended production this year at its Flat Rock, Michigan., factory owned jointly with Ford. But it kept its 50 percent stake in the plant, so it in theory could resume operations there. For now, though, Mazda is focused on Mexico. It plans to open a factory there in 2014. Mazda had planned to open with capacity to build around 140,000 units of the Mazda2 subcompact and the Mazda3 compact. But this month it said it will raise the plant's capacity to nearly 200,000 to build about another 50,000 small cars for Toyota. 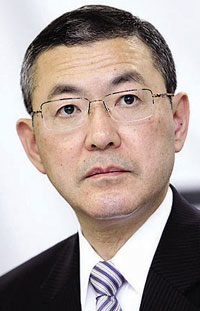 Subaru boss Yasuyuki Yoshinaga wants to raise his U.S. sales target to 400,000 vehicles in the fiscal year ending March 31, 2016. He told Automotive News he wants to decide by January how to expand North American output to meet that goal. In May, Subaru said it planned to boost capacity at its only North American plant to 200,000 by mid-2014, from around 170,000 today. But Yoshinaga now says the company needs another expansion, to between 250,000 and 300,000 units. Subaru is leaning toward adding a line at its Lafayette, Indiana., factory, which also assembles Camry sedans for Toyota. What's next: Mazda will expand output by building 50,000 compacts for Toyota starting in the summer of 2015. What's next: CEO Carlos Ghosn says North America will need another new plant in the next 5 years. What's next: President Takanobu Ito wants to boost capacity with a build-out of the upcoming Mexican plant or increases at other plants in the U.S. or Canada. What's next: Subaru boss Yasuyuki Yoshinaga wants to boost N.A. capacity to 250,000-300,000 by adding another line at Lafayette or building another plant. What's next: President Osamu Masuko wants to boost output to 70,000 next year with the extra production going to Russia, the Middle East and Latin America. Yoshinaga: If Subaru dealers could get more vehicles, the brand could hit 400,000 U.S. sales. If Subaru dealers could get more vehicles, "we can achieve about 400,000" in sales, Yoshinaga, president of Subaru parent Fuji Heavy, said. "To achieve 400,000 units, we have to expand production capacity." Mitsubishi is also prepping its only North American assembly plant, in Normal, Illinois., for an increase to supply the United States and beyond. The factory makes about 50,000 Outlander Sport small crossovers a year. But President Osamu Masuko told Automotive News that he wants to increase output to 70,000 units next year, targeting export markets such as Russia, Latin America and the Middle East. The production boom comes as numerous pressures squeeze Japan's carmakers. The biggest: The yen's steady four-year climb against the dollar, which ravages profit margins on cars imported from Japan. Making more cars locally is the best defense. Honda, for one, has been restricting shipments of the Fit to the United States because the low-margin export model loses money under the current yen-dollar exchange rate. But Japan's automakers are also feeling pent-up demand in North America. With Europe mired in a deep slump and China sales slowing, the United States is one of the world's few robust auto markets and is tipped for steady midterm growth. Behind the assembly-line buildup is a general optimism that U.S. volume will rebound to levels seen before the financial crisis. And the Japanese want enough capacity in place to take a bigger slice of the pie during the upswing. So far, sales are supporting the trend. North American sales of Japanese-brand vehicles peaked at 6.9 million vehicles in 2007. Through September of this year, those sales totaled 4.7 million. That's 10 percent below sales in the same period of 2007. But Japanese brands' share of the North American market rose 0.1 percentage point, to 36.7 percent, in the first nine months of 2012, from the same period of 2007. With more production, Japanese makers believe that share could rise higher.